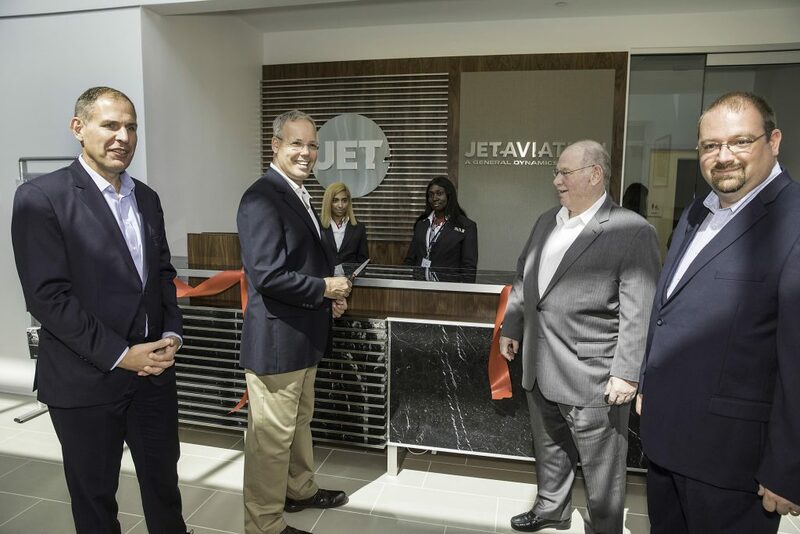 Cahokia, IL, 2017-Sep-25 — /Travel PR News/ — Jet Aviation celebrated the opening of a new FBO (fixed-base operation) at Hanscom Field at Boston/Bedford on August 22 with a ribbon-cutting performed by the first customer to enter the building. The two-story, 12,000-square-foot facility opened for business officially after the red ribbon was cut by Bob Braceland, director, Executive Aircraft Operations at Raytheon, who served as the ceremonial first customer. The opening was followed by a catered lunch for Jet Aviation’s tenants, customers and staff at the FBO. The FBO opening followed a grand-opening event in June for the adjacent new 40,000 square-foot hangar. The FBO features two customer lounge areas, two pilot shower rooms, a snooze room and a pilots’ lounge with two privacy rooms. There are also two conference rooms with full video-conferencing capabilities. Now that the FBO team is occupying the new space, the old FBO building will be offered for lease. This entry was posted in Airlines, Airports, Travel, Travel Management, Travel Tech and tagged FBO, fixed-base operation, Hanscom Field at Boston/Bedford, Jet Aviation, John Langevin, Luis Muñoz Marin. Bookmark the permalink.